DISTINCTIVE CUSTOM HOME by Grande Maison Construction! 4 BR, 2 full & 3 half baths with 4 car garage. Large patio with fenced inground saltwater pool overlooking a pond and the 15th fairway of Eagle Creek Golf Course. Two-story entrance foyer with curved granite stairway. Grand 10' ceilings throughout 1st floor. Large Great Room with 2-sided gas-log fireplace, custom floors &amp; built-ins, and formal dining room. Large custom Maple kitchen with breakfast bar and eating area ready for a gourmet cook. Main floor master suite is a private retreat with a fireplace, 12 x 10 walk-in closet, tile shower and towel warmer. Second floor features an additional bedroom suite with bath and sitting area. Large basement, newly added Man Cave Bourbon Room with many special features. Central air and central vacuum. Association fee includes use of the tennis court and picnic pavilion. 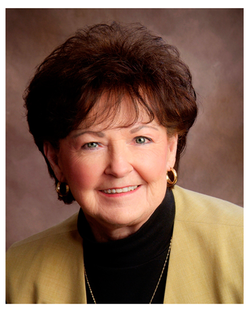 Norma Schaechterle is a leading Real Estate agent serving Huron, Erie, Lorain Ottawa, Sandusky and Seneca Counties in Ohio. ​For service with integrity - Contact Norma today!